The millennial generation has recently become the largest demographic group on the planet. The gap is continuing to grow between Millennial, Gen X, and Boomer generations. It’s important for corporations to stay current on the interests of their largest employee base. Corporate travel agencies are trying to keep up with the millenials, as they represent 25% of all US business travelers. In the past, luxury and comfort has been prioritized above all else while away from home. However, there has been a shift with millennials who are valuing experiences over luxury. Here’s how corporations can learn from millennial travelers. Generation X and Baby Boomers have collected items for years. Their interests range from cars to stamps to baseball cards. Millennials are different in that they don’t want tangible items to dust off. Millennials want to collect experiences and memories. They want to experience new things and see new places, while forming lifelong memories. All too often, they want to travel somewhere to help with disaster relief, rather than purchase another pair of shoes or a new, trendy purse. Knowing that their leaving a lasting impact is far more important than any tangible item. That’s something this generation can be proud of. 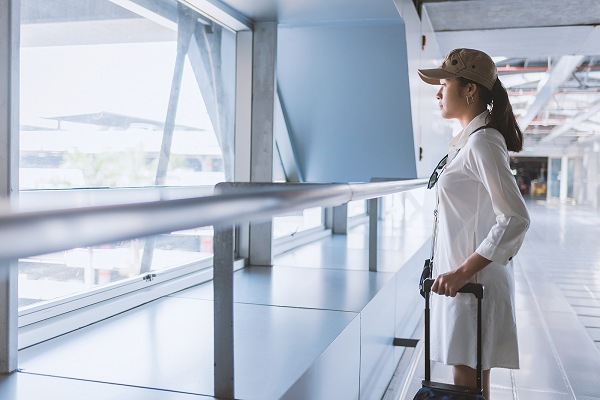 If businesses want to improve employee retention, it’s time to shift your focus to the culture their travelers will experience abroad. No longer are the days where you need to offer gifts upon guests’ arrival. Your budget is better spent on an outdoor adventure or hands-on activity. It should come as no surprise that we are in the age of social media. People are more connected now than ever. How relevant is this information regarding business travelers, though? A recent report by GBTA showed that 54% of all business travelers use social media at least once a day. Additionally, another study by Internet Marketing Inc. showed that 97% of millennial business travelers use social media while abroad. A company’s social media presence is so important in the world of corporate travel. While your travelers are abroad, they can stay current with any company news or updates that are pertinent while they’re away. The instant nature of social media informs your employees, no matter where they are. Another way millennial business travelers are breaking the mold is through their new methods of travel and lodging. Fewer people are renting cars and booking hotel rooms for just themselves. Instead, they are looking for shared experiences during their travel. Uber and shared living space apps give people the accommodation they desire, while providing a unique, interpersonal experience. In fact, according to GBTA, over 50% of corporate travel policies worldwide include a ridesharing section. The travel industry is constantly changing, and the millennial generation will keep pushing it forward. If you want a company that stays current on how to best serve its customers, then Teplis Travel is the corporate travel agency for you. Turn your business trip into a cultural experience by contacting one of travel representatives, or calling 1-800-669-6547 to book your next trip today!